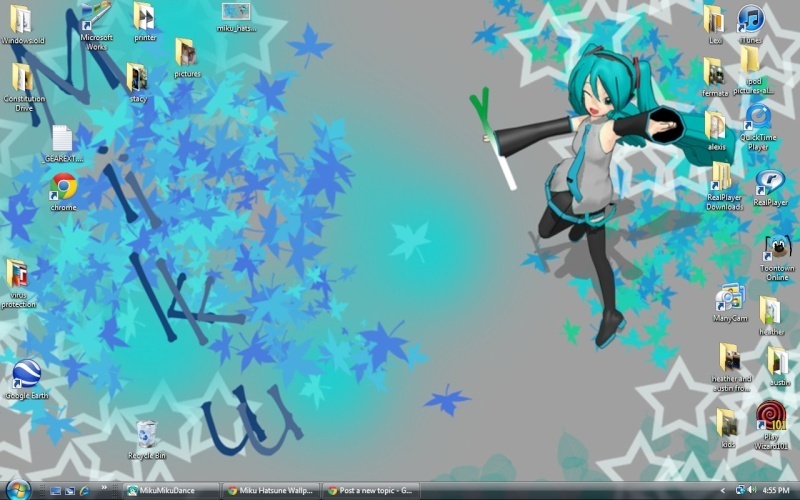 I changed my desktop background! I was watching a group called "#MMD-Everything". 13 deviantions appeared in my inbox from the group. One of them was this picture. My mom said we are gonna use it for a little bit. Awesome. ;O I would steal yours, but I'm better than that. xD But yeah, awesome.